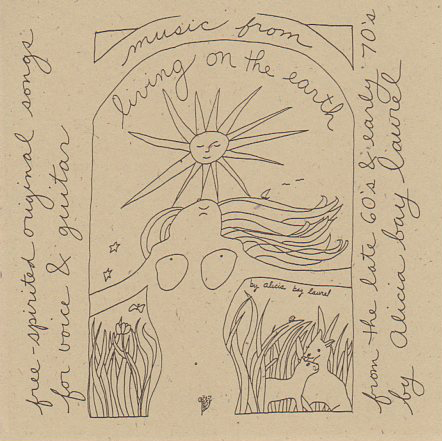 Posted on June 10, 2006 by Alicia Bay Laurel	in Blog. June 9, 2006. Greg Palast’s booksigning at the Immanuel Presbyterian Church drew at least 500 highly appreciative people, including me. I subscribe to Greg’s mailing list and, as you have noticed, post some of his writing on my blog. Greg Palast speaks. Jerry Quickley listens. 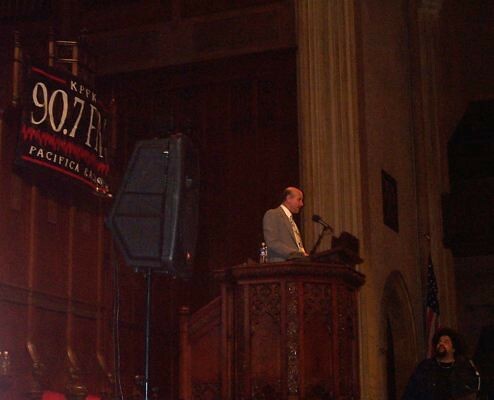 KPFK Pacifica Radio sponsored and benefitted from the event, and KPFK radio host and poet Jerry Quickley, who spent time dodging bullets in Bagdad as a non-embedded journalist, opened the evening with a recitation of a poem about life in the Iraq war. 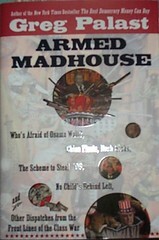 I can’t wait to read my signed copy of Armed Madhouse. 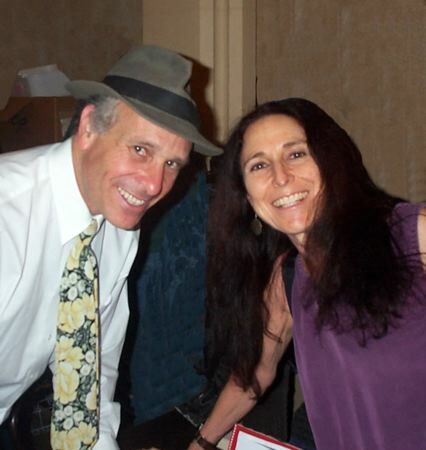 I gifted Greg Palast with a copy of my CD What Living’s All About and asked him in particular to listen to America the Blues.